The Annual Meeting of the Radiological Society of North America (RSNA) proved to be the perfect venue for PaxeraHealth to show new offerings that are part of the company’s Ultima 360® Enterprise Imaging System (EIS). The Boston, MA-based company had over 500 attendees express an interest in the inclusion of PaxeraHealth’s Artificial Intelligence (AI) product that is a standard feature provided in Ultima 360®. The company is using several sites from its installation base of 2,500 PACS sites worldwide to help refine its unique AI offering using a variety of DICOM-anonymized data. Incorporating this additional data allows the algorithms to go well beyond the basic image interpretation offered by other AI companies. The decision to expand the EIS to include AI was driven by the incredible amount of interest in AI as a market. “PaxeraHealth continues to enhance and expand our imaging product line to meet the growing needs of our end-users and to respond to industry changes,” said Dr. Mohamed Shoura, Founder and CEO of PaxeraHealth. “The interest in AI has been growing exponentially over the past few years and this year interest has been unprecedented. Many companies have been working on AI algorithms but none that we are aware of has shown the ability to seamlessly integrate this with an Enterprise Imaging System. We have done this as part of our PaxeraUltima360 system with both mammography and chest images and already have several sites providing us with real time feedback on it,” Dr. Shoura said. “PaxeraHealth is taking a different approach from other vendors and is leveraging AI in multiple ways within our EIS solution. Even though AI has been discussed extensively, end-users remain unsure about both AI’s use and value. Since we include our AI software and its installation at no charge, this gives them the opportunity to try it out without risking any capital” he concluded. PaxeraHealth’s Ultima 360® Enterprise Imaging System (EIS) offers integrated and standalone solutions. These include a VNA with full lifecycle management and tag morphing capability, image sharing, zero-footprint and universal viewers, consolidated worklist, RIS functionality, and much more. The company also launched the industry’s first interactive chatbot – branded as Erabot – at the show. As a module of their Ultima PACS system, radiologists are able to interact with EraBot through text or voice commands. 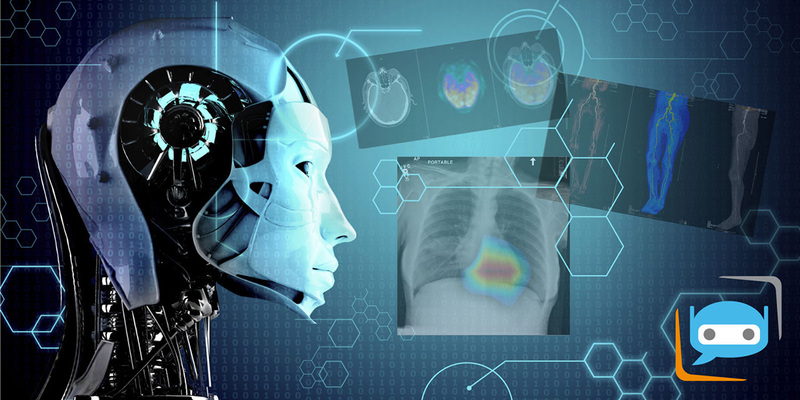 The module’s machine-learning algorithm captures radiologists’ actions and behaviors, storing collected information for instant and future analysis, and adding it to the database of anonymized information from the worldwide PACS installation base. “We always knew one of the key features our customers loved about our product line was that the components could be purchased and deployed in a modular fashion,” said Paul Dandrow, EVP & CTO of PaxeraHealth. “Existing customers know they can purchase the component(s) they want and know they would integrate seamlessly with their existing software. In several sites adding this software amounted to them creating what was in fact a complete EIS. Interestingly, the majority of people we met at RSNA 2018 were looking at PaxeraHealth not just for PACS parts and pieces but as a replacement of their existing PACS as they moved towards a full EIS solution,” added Dandrow. “With available capital funds at a premium and little-to-no capital available to update, let alone upgrade their existing imaging systems, many customers were also interested in the ability to implement an EIS with the least amount of impact to the current imaging budget,” said Dandrow. “They need solutions that can improve their workflow today without having to wait for another budget cycle. The interest shown in our product line at RSNA showed we have the answers for them,” he concluded. Further information on PaxeraHealth and its products can be obtained by contacting PaxeraHealth at (888) 430-0005 or by visiting the PaxeraHealth’s web site at www.paxerahealth.com.